Professor Ken Baldwin is the Director of the Energy Change Institute at the ANU, and Deputy Director of the Research School of Physics and Engineering. Since 2011 he was a member of the Project Steering Committee for the Australian Energy Technology Assessment (AETA) produced by the Bureau of Resources and Energy Economics (BREE). In 2015 he was appointed to the Socio-Economic Modelling Advisory Committee of the South Australian Nuclear Fuel Cycle Royal Commission. Professor Baldwin is an inaugural ANU Public Policy Fellow, and winner of the 2004 Australian Government Eureka Prize for Promoting Understanding of Science, for his role in initiating and championing “Science meets Parliament”. In 2007, Professor Baldwin was awarded the W.H. Beattie Steele Medal, the highest honour of the Australian Optical Society. In 2010 he was awarded the Barry Inglis Medal by the National Measurement Institute for excellence in precision measurement. 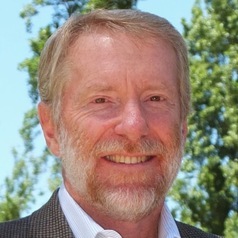 Professor Baldwin is a Fellow of the American Physical Society, the Institute of Physics (UK), the Optical Society of America and the Australian Institute of Physics.